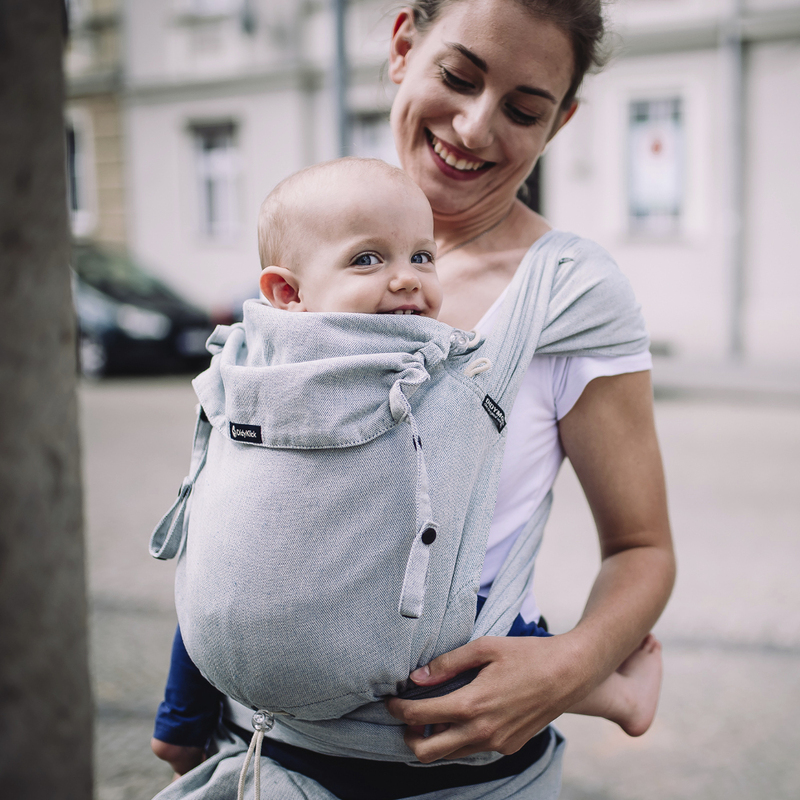 Blog Home > Babywearing > Carrier Reviews > The DidyKlick! 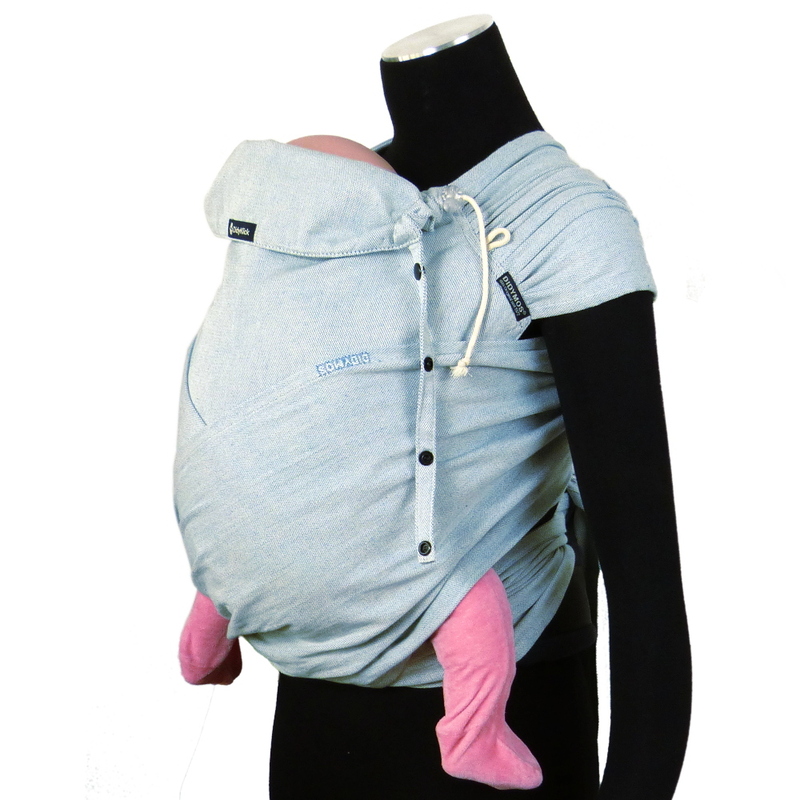 Didymos introduces their Hybrid Buckle Carrier to their already fabulous line up of amazing Baby Carriers! Are you curious about buckle carriers also known as soft structured carriers? 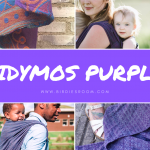 Didymos, the pioneer of modern babywearing has expanded their repertoire of Babywearing carriers that range from Woven Wraps, Stretchy Wraps, Ring Slings and Mei Tais (Meh-Dais) to now include their first foray into the structured baby carrier market by introducing the new DidyKlick! 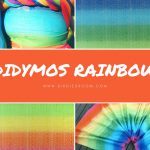 Didymos has been releasing teaser pictures and making sure it makes the rounds at Babywearing conferences and tradeshows. Feedback is 5 stars for the new DidyKlick! People are eager to learn more! Do you?! 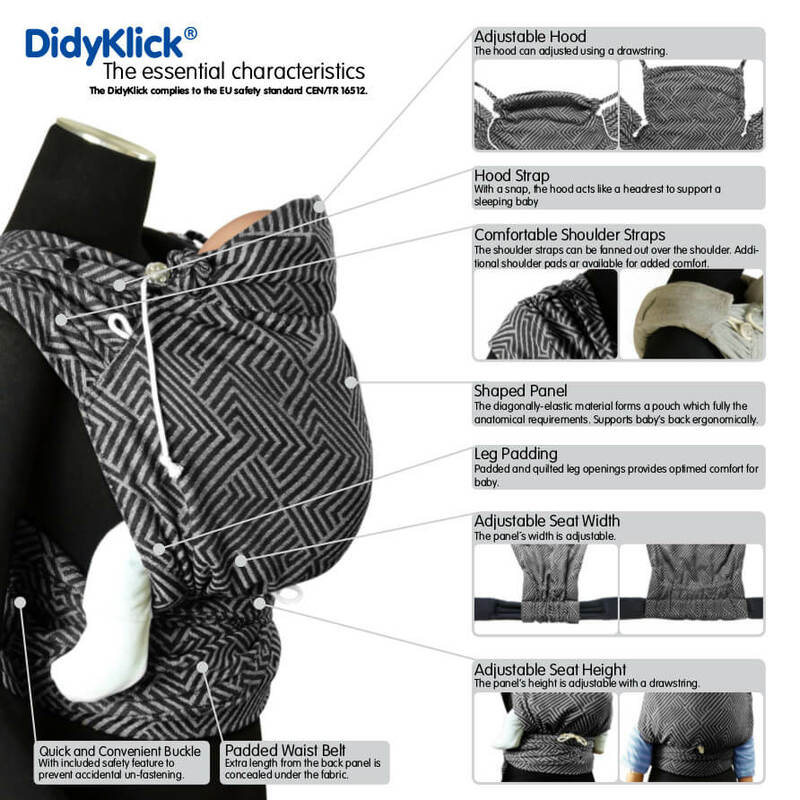 The DidyKlick offers a relaxed Babywearing experience with just one click! 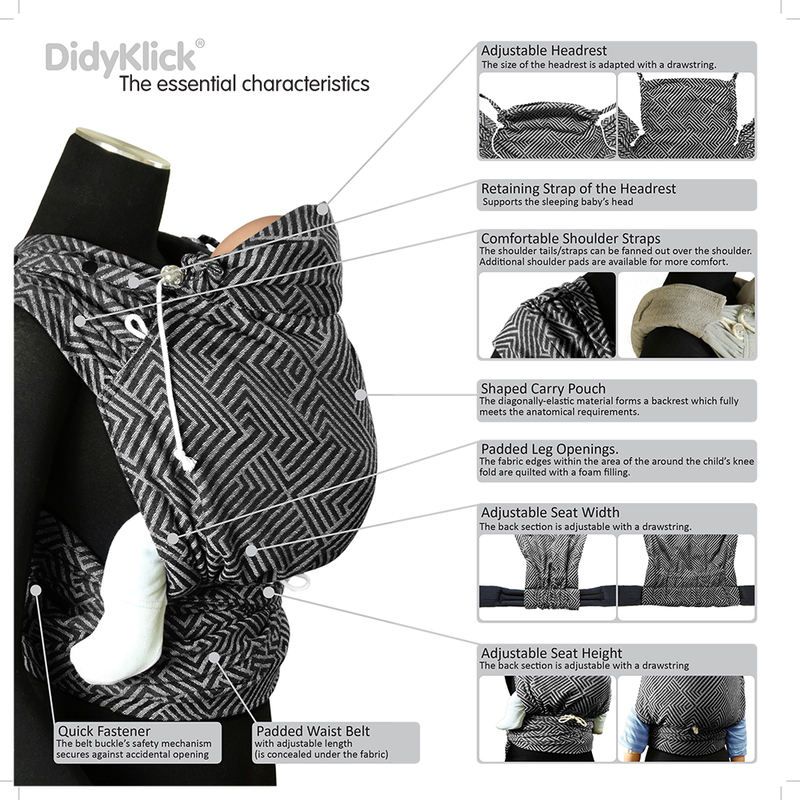 Alongside the DidyTai, the DidyKlick is another convenient combination of a Woven Baby Wrap and Structured Carrier. The DidyKlick features a sturdy waist belt with a clip-buckle that ensures comfort and support around the torso of the wearer. The soft body made of organic cotton offers a safe place for your little ones. The sewn-in headrest guarantees a well-sheltered nap. The waist belt is easy to adjust according to the size of the wearer. The body of the carrier can also be adjusted individually according to the size of your child. This enables you to ensure an ideal posture of your child’s spine and of the correct spread-squat position at all times. The innovative pads for the shoulder straps ensure more Babywearing comfort and reduce the strain on your shoulders further. 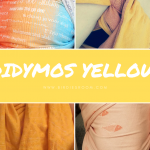 Made with Didymos top notch organic quality fabric. Comfortable woven wrap shoulder straps with optional shoulder pads. Ergonomic & adjustable body in both width and height. Padded and comfortable waist belt. The DidyKlick is a versatile carrier which allows you to carry your little ones in comfort in several positions including the front, back, or hip from 8-35lbs. This stylish and beautiful carrier will allow you to carry on and let life happen as you know it – keeping your child close and at the same time accomplishing the things you need to do in everyday life! The DidyKlick complies with the prevailing CEN/TR 16512 safety standards and the ASTM F2236 standards. 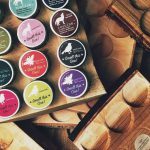 Stay up-to-date with BR news, product releases and interesting babywearing information by subscribing to our newsletter. You will not want to miss it! Need more details? Check out the DidyKlick booklet here! Step by Step instructions on how to carry your baby on the front, hip and back. General Information about the carrier. Explanation of the function, features and how to use this fantastic carrier! How to use the didyclick with your newborn! 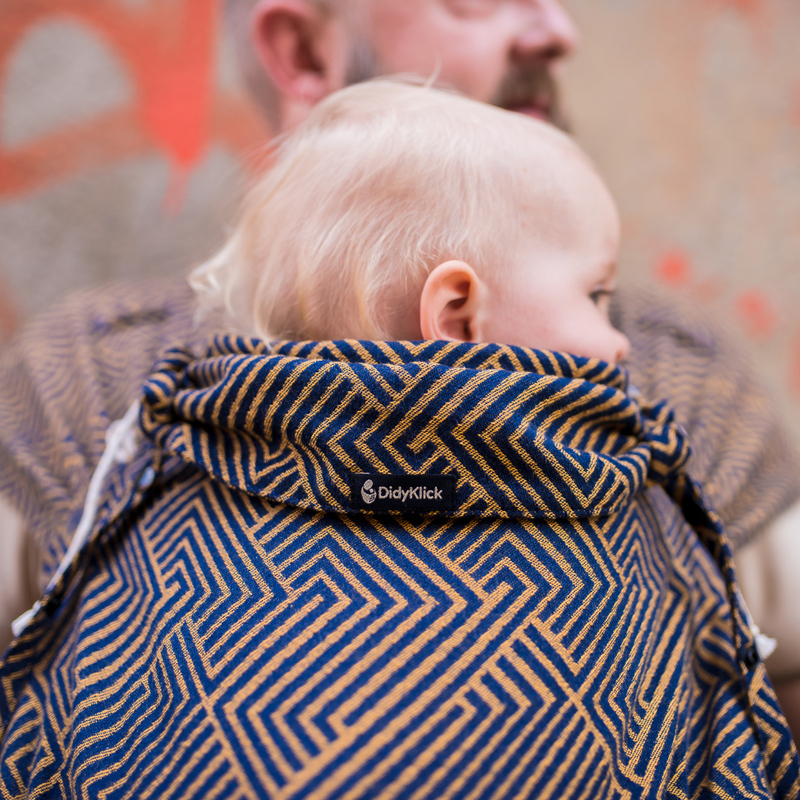 Would like to try the DidyKlick by DIDYMOS?